Purchase new Honda Civic Catback Exhaust at discounted prices from K2 Motor. 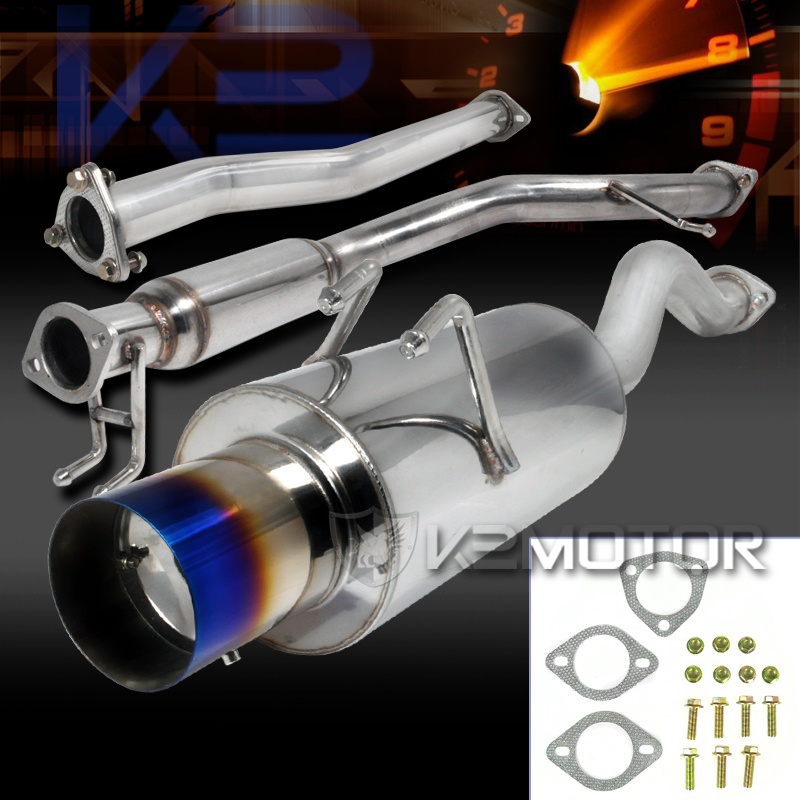 We carry a wide variety of brand Catback Exhausts easy to install on your car. Brand New In Original Box, Never Been Tried On & Used. High Performance Catback Exhaust System Featuring Patented Straight Through & Multi-Core Technology To Unleash Hidden Horsepower. Made Of High Quality T-304 Stainless Steel ( Light Weight Design ) With Mandrel Bend. 4" Tip W/ Removable Silencer With Titanium Tip. 2. 5" Light-Weight Piping. C.N.C. Machined Flanges. Direct Bolt On Design (Gaskets And Bolts Included). Maximum Performance Which Increases Up To 15 Horsepower.